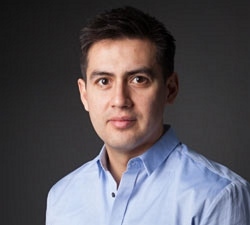 Victor Galaz is an Associate Professor and Senior Lecturer in political science, currently dividing his time between GEDB and Stockholm Resilience Centre, where he is co-theme leader for Global and Cross-Scale Dynamics. Among his publications in English are articles in the journals Environment, Frontiers in Ecology and the Environment, Science, Ecological Economics, Public Administration, Environmental Politics, Ambio, Ecology and Society, and Governance. His work has been featured in international media such as Wired, The Guardian, New Scientist and Nature. His current research interests are in global environmental governance, human health, planetary boundaries, emerging technologies, financial markets and emerging political conflicts associated with the notion of the Anthropocene. He is also the author of "Global Environmental Governance, Technology and Politics: the Anthropocene Gap" (Edward Elgar, 2014). Global networks and global change-induced tipping points.